Most people start on small to medium engined bikes and move up from there. 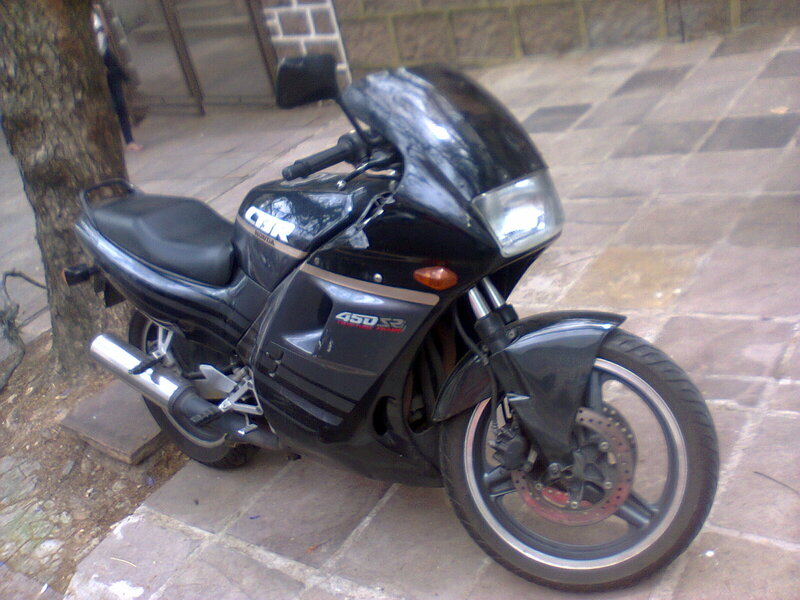 I started out on street bikes with a VF500, then went up to a VFR800, and back DOWN to a CBR 250R. Why? Because I love tiny engines, especially multicylinder engines! I got this bike specifically because of the sound. I saw one video of it and I was hooked. This is the video that poisoned me. Having had this bike for at least two years now, I figured I should start a thread for my little screamer to celebrate my first real eco mod to it, taller gearing. Honda says this thing revs to 18.5K. It has been said that they were optimistic and that it only revs to 17.3K. The MC22, which is the newer model with a slightly revised engine appears to rev higher, and it certainly sounds like it too. When I first got the bike, it was all stock. The exhaust was of course too quiet, so I put an aftermarket muffler on it. Stock, it would get around 58 mpg with how I ride it now. With the new muffler along with its reduced low end torque brought the gas mileage down to around 54 mpg. I changed the main jets up to 90s instead of 85s when the muffler was installed. The pilot jets were also richened at the time, but I have since adjusted them back to the stock setting. At some point in ownership of the bike it had what seemed like "cylinder deactivation" problems where the bike would start to lose cylinders and power to the point where it could not maintain speed anymore. It eventually turned out to be a fuel supply problem from a kinked hose. However, before that was found out, I thought it was an ignition related problem, so I got a new ECU. The new ECU was advertised as "derestricted", yeah, it was derestricted all right. IT HAS NO REV LIMITER! Normally the bike has a rev limiter at 18.5K rpm indicated, I took the bike up to 20.5K rpm indicated looking for the new rev limiter before deciding continuing to rev higher will only result in destruction. The bike still has that ECU in it, gotta remember to swap back to stock. The pathetic thing is that despite being "derestricted", it still has the 10-14K rpm retarded ignition timing that the stock ECU has. My non O-ring chain recently wore out(Took less than 5K miles! ), so I decided to renew my search for taller sprockets when getting the new chain. This model bike uses a 428 pitch chain, narrowing options significantly. Thankfully, my dad found a 51T rear sprocket off of the 1989-1990 VTR 250, a similar bike in other regards as well. Apparently other parts are shared between these two bikes. Stock gearing is 17T/54T, so a 51T rear sprocket results in 5.5% taller gearing. IIRC the hole setup for the rear sprocket is 6 holes with a 150mm centerline. Here is a gem I found featuring an MC22 and its eargasmic sound. Last edited by Daschicken; 01-12-2018 at 05:34 PM.. 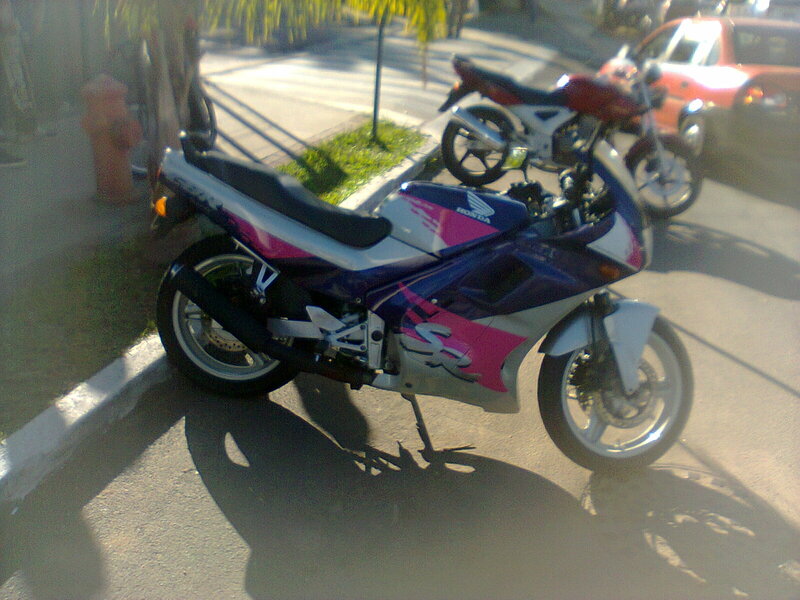 It resembles the Brazilian CBR 450 SR, which had a bigger parallel-twin instead of that 4-cyl due to local content laws. But anyway, even though nowadays I would prefer something less rev-happy and more oriented toward low-end torque, this engine is a marvel of engineering. 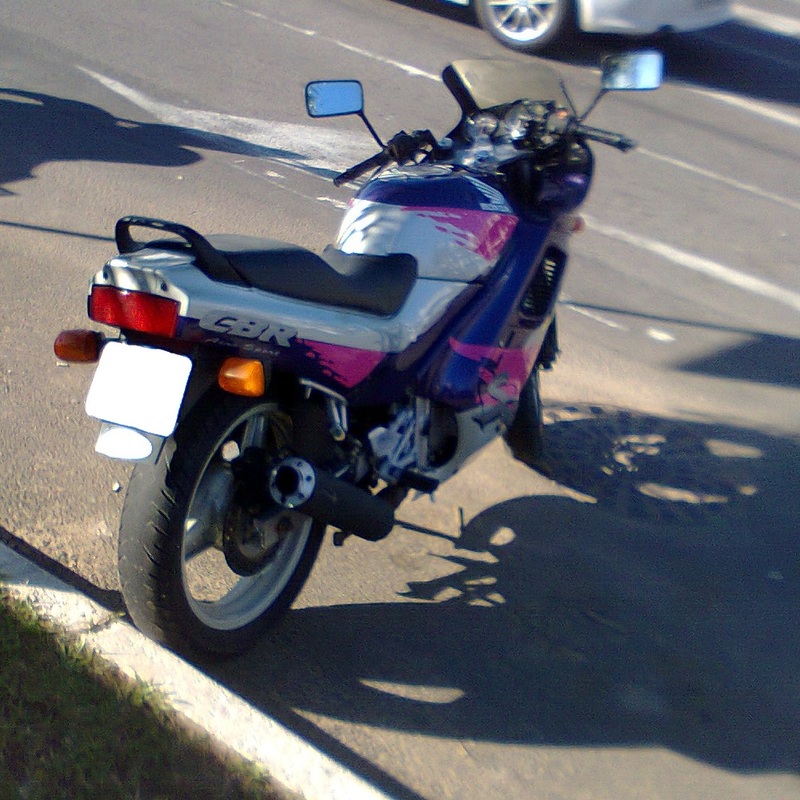 It resembles the Brazilian CBR 450 SR, which had a bigger parallel-twin instead of that 4-cyl due to local content laws. Interesting, never heard of that bike. Not really a surprise as Honda has made a LOT of bikes. But anyway, even though nowadays I would prefer something less rev-happy and more oriented toward low-end torque, this engine is a marvel of engineering. I can understand. This engine produces fingernail bending torque, at least in this configuration. I compared header sizes, and my 250cc's header tubes were BIGGER than an R1's. It might have had something to do with the design team overpowering the engineering team and not wanting pencil thin header tubes. The MC22 has slightly smaller headers, as well a slightly lower lift on the cam profiles. Honda did take this engine and retune it for better lower and midrange power in the hornet 250. They also dropped the rev limiter down to 16,000 rpm. I will consider gettting one, but other bikes are at the front of the list, namely the CBX 1000(see video), and it is already so similar to my cbr. The only literbike I would consider getting. Interesting, never heard of that bike. Not really a surprise as Honda has made a LOT of bikes. 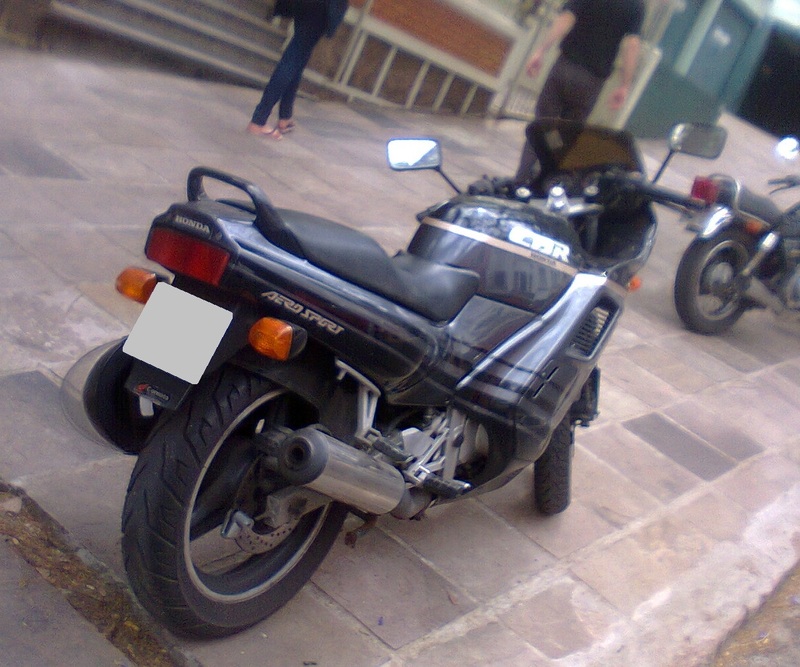 When I was in my early teenage I was quite obsessed with the Hornet 250, even though I have never seen one, not even with Paraguayan or Bolivian plates. Actually, I was more interested in its engine than in the bike itself, and had the willing to fit one into a beach-buggy instead of the more traditional VW aircooled boxer. My dad still praises that straight-6 CBX, which had been available in the Manaus free port zone when he was single. Well, I must confess I'm not so deeply into motorcycles with more than 2 cylinders, but that one is still interesting to say the least, impressive how Honda managed to fit a straight-6 into a motorcycle. Which one? Or is it both? I tend to choose good sounding bikes. Here is some video, (well, sort of) of MY bike making its sweet music from inside the airbox. Skip to 1:34 if you just want to hear it scream. [QUOTE=Daschicken;557607]Which one? Or is it both? I tend to choose good sounding bikes. Surprised that sounds pretty good! It's a Honda anyway. Weather cooperated slightly, so I finally got to ride cibbie for a decent amount of time with the new taller rear sprocket. It is so much more pleasant to ride on the highway now, the 500 rpm drop is noticeable and now I don't feel like I have to constantly pulse and glide(which doesn't work very well). Didn't ride long enough to know the fuel economy, so that will have to wait. I did however put my phone in voice memo mode at the start of the trip to record some nice sounds. It ended up stopping itself after an hour and 25 minutes, but THANKFULLY it caught me doing a TWENTY THOUSAND RPM pull! Probably last one I will ever do, I need to put the stock ECU back in before I blow this thing up. The recording only had 3 minutes to spare when it caught the pull, I was so happy, I thought I lost it! Look for them in Canada, I've already gotten two grey import bikes, dad has a third. 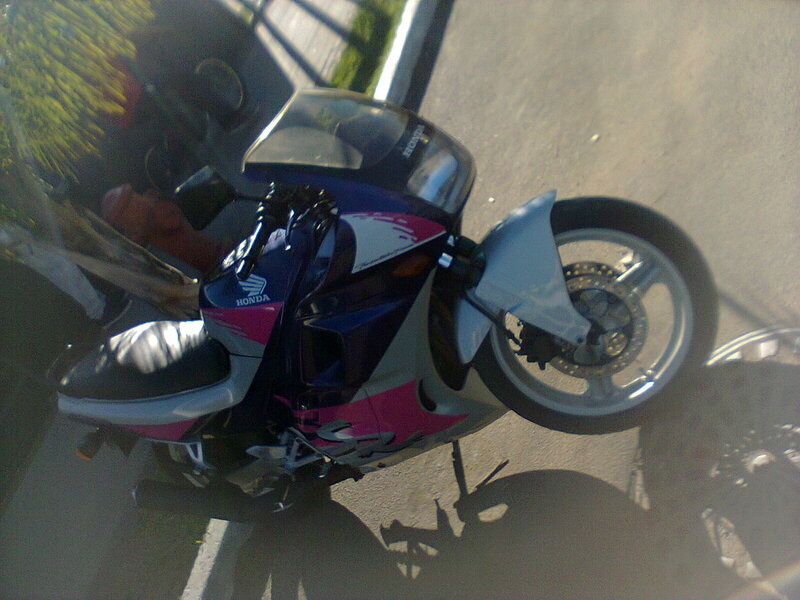 Look on kijiji.ca, hopefully you've got a canada buddy to go check out the bike for you/buy and store it temporarily. Otherwise video chat works decently well. I see you are in Georgia! Add yourself to the EM usermap, we already have a decent following of members around here, wouldn't hurt to have more!